Data is also shared with other service providers who use this data to issue communications to you, for example our email distribution tool -Mailchimp. This policy describes how Hammersmith & Fulham RFC (also referred to as “the Club”, “we” or “us”) will make use of the data we handle in relation to our members and players (also referred to as “you”, “your” and where applicable represents Parents & Guardians of members aged 18 or under), including our use of the Game Management System (“GMS”) provided by the Rugby Football Union (“RFU”). The policy also describes the RFU’s use of data on GMS. we will send you direct marketing or promotional material by email with the exception of all members under the age of 18. In addition to sharing data with the RFU, we will share your data with team administrators within the club for the purposes of contacting you regarding training, availability for selection, game information etc. Personal data will also be shared with third party service providers, who will process it on our behalf for the purposes identified above. Such third parties include the RFU as the provider of GMS and providers of email distribution and list management (we use Mail Chimp & Teamer) your data is also held on the Server that hosts our website and membership data store which is hosted by Tsohost. Encrypted backups of this are stored in Amazon Webservices. Some of our providers host our data outside of the EEA. All of these providers offer the option to opt out of being included. These rights may be limited, for example if fulfilling your request would reveal personal data about another person, or if you ask us to delete information which we are required by law to keep or have compelling legitimate interests in keeping. We include statistical records such as team sheets or match reports etc as legitimate interests. We hope that we can satisfy queries you may have about the way we process your data. If you have any concerns about how we process your data, you can get in touch at data@fulhamrugby.co.uk. 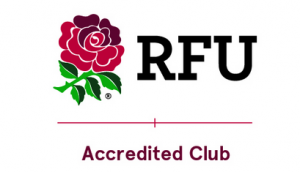 If you have any concerns about how the RFU process your data, you can get in touch at legal@rfu.com or by writing to The Data Protection Officer, Rugby Football Union, Twickenham Stadium, 200 Whitton Road, Twickenham TW2 7BA. We process the majority of your data for as long as you are an active member and for the season following your last involvement with the club.